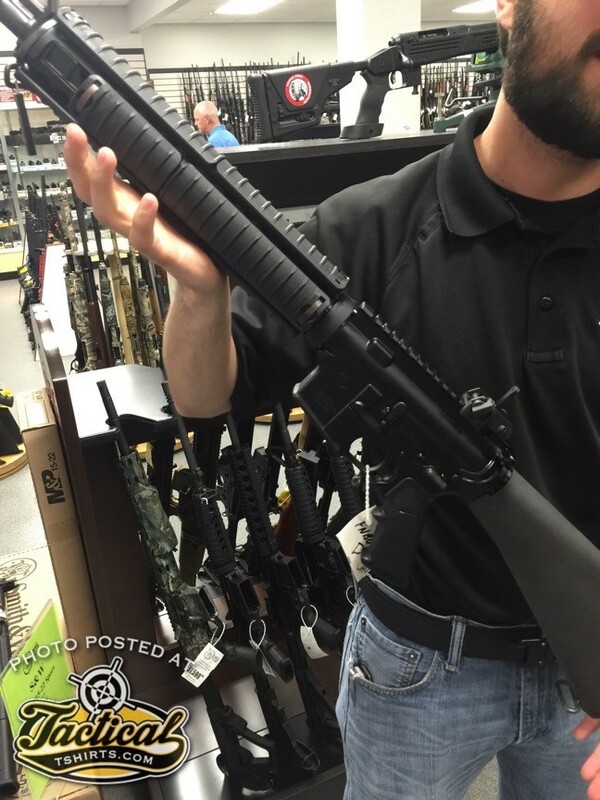 Over the holiday weekend, I had a chance to run over to Bud’s gun shop to do some window shopping. I did this for one specific gun. 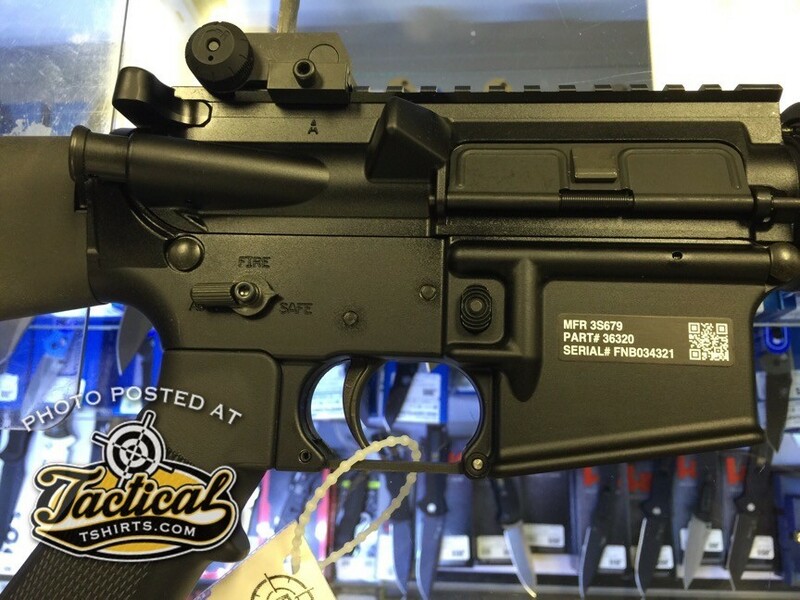 They have a “FN-15 M16A4 Military Collector” in stock. I’ve been eyeing these since they came out at SHOT. Actually truth be told, I have been eyeing all three of them: The A4, the M4 and the 249s. Pretty close to military markings. Right off the bat, I need to remind our new readers of something that might offend my fellow gun enthusiasts: I am so over AR rifles. I really am. I find the entire category tedious. It seems every year, 20-40 new companies pop up with their take on the concept. Some of them admittedly are improvements. Sadly…many simply aren’t. Side note. 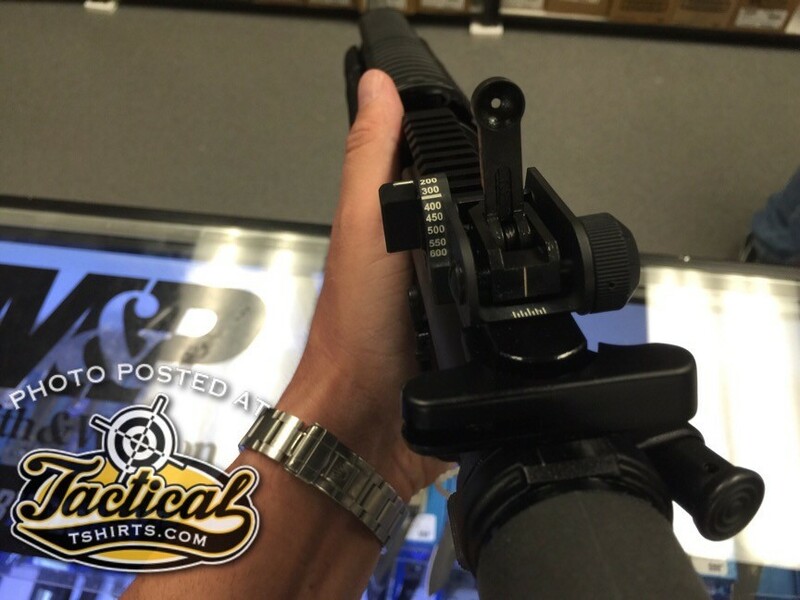 I think the LWRC IC line is really slick and if I was going to “run” a AR-15 as my primary civilian rifle, I would give that gun a hard look. But back to the tedious reality. 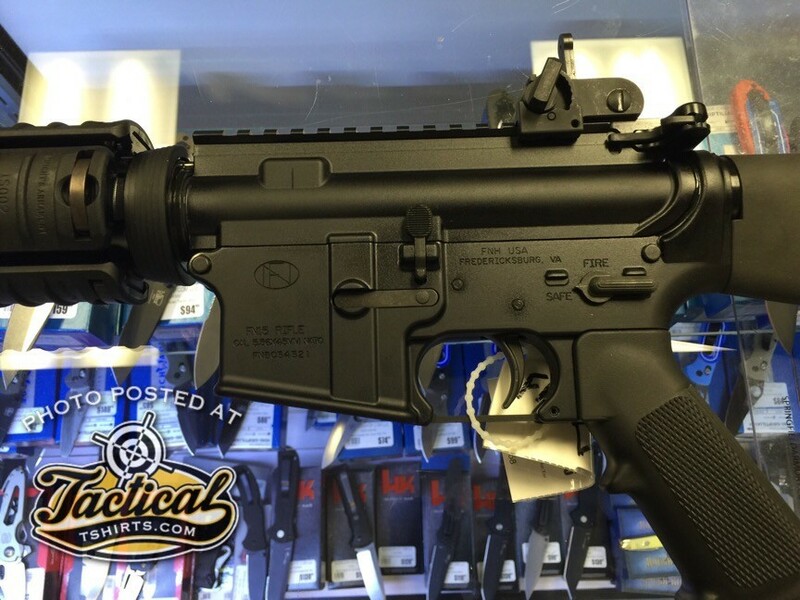 Many of the AR experts don’t like these “military” AR guns. If their arguments are from a position of the latest and greatest in the technology, they have a point. The US Military is always 10-15 years behind the times gun-technology wise. If their arguments devolve into such things as brand loyalty or ninja-magic, watch out. But they are missing the point. The standard A4 Rear Sight. 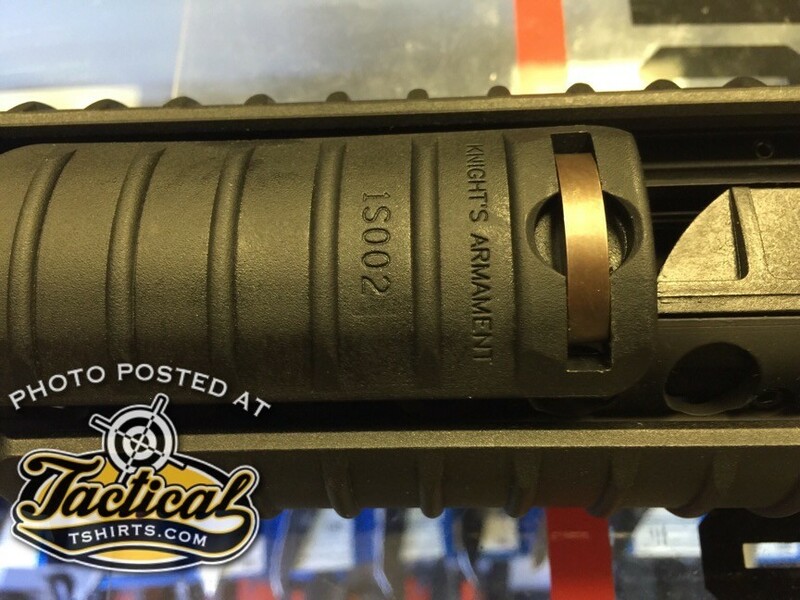 The reality is, FN is a supplier of AR’s to the US Military. And these guns have been received with positive reviews for much of the GWOT. The Military Collector guns are a piece of history and FN is giving you the chance to own a “real one” minus the Post 1986 Dealer Sample Machine Gun hassle. I think that’s pretty neat. And this is coming from someone who “hates” AR’s. 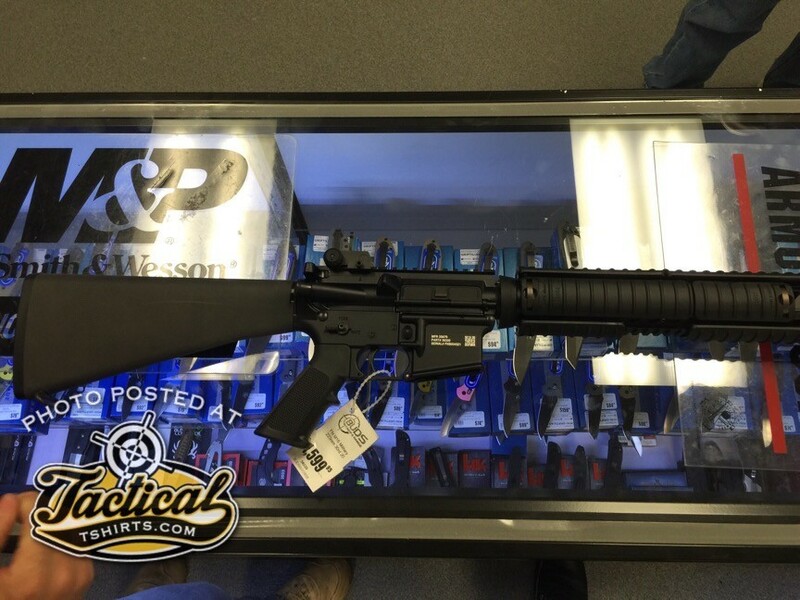 The M16A4 is the 20″ Rifle the USMC uses. Bottom line: FN is in the business to make money. And one day, these Military Collector guns are going to be gone. Before that happens, I will pick up a A4 for use in Service Rifle matches.